One of the best uses for a parking lot is to store and sell dealership cars. These concrete or asphalt paving lots have to be made and maintained to withstand the unique punishment that dealerships and their customers place upon these slabs. As mentioned above, pretty much every car dealership parking lot is comprised of either concrete or asphalt paving. 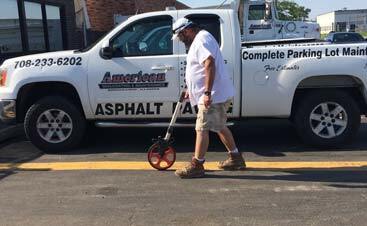 These two types of paving offer different strengths and weaknesses, although the general consensus among dealers is that asphalt paving tends to offer more benefits than its concrete counterpart. As mentioned above, car dealership lots are put through more abuse than the average parking lot. After all, dealership lots serve as a long-term home for the vehicles that rest upon them; even once a vehicle is bought off the lot, another will soon be delivered to take its place. The parking lot at a car dealership has to be smooth enough to allow for safe foot traffic through the vehicles for sale for the staff and customers alike, while also being sturdy enough to withstand the extreme weight demands required by the frequent visits from vehicle-carrying trucks and reshuffling of cars across the lot. All the while, dealership lots are exposed to the sun, wind, and rain of any other parking lot, while almost never seeing a break from the constant activity that it is home to. Concrete lots are used in dealerships across the country, and many car dealers swear by them. They do, however, require substantially more work on the behalf of the dealership staff to keep the surface clear and crack-free to keep the merchandise looking great. After all, cars tend to leave their mark on the lighter-colored concrete, requiring pressure washers to spray off the rubber track treads left behind by new tires, any oil drips or spills, and other car-related splatters, messes, marks, and more. All in all, dealership staff can expect to spend a considerable amount of time keeping concrete looking nice to serve as the exterior sales floor it should be. Even if the staining and scuffing risks are ignored, concrete can be tedious to maintain and very difficult to replace; even with the help of a concrete crack filling and line painting service, the parking lot is sure to gradually lose its luster over time. 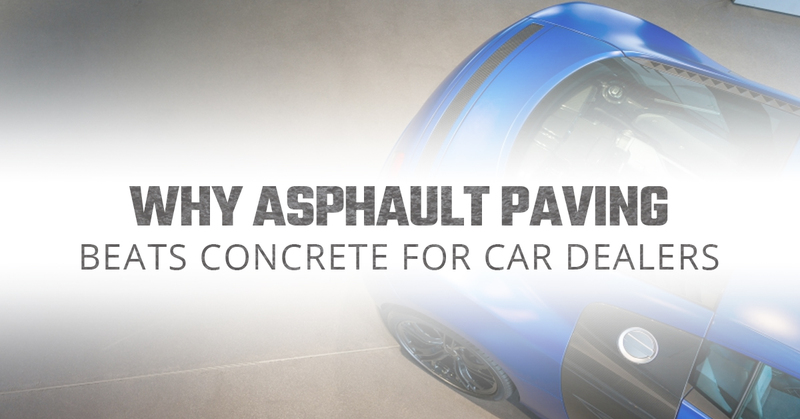 For car dealerships around the country, asphalt is becoming a more enticing option. Because its black color, asphalt is able to easily mask all but the worst oil spills, tire scuffs, and other blemishes that concrete easily falls victim to. This removes a substantial portion of the dealership staff’s responsibility to maintain the parking lot’s look and function, freeing them up to work on selling and repairing cars for their customers. 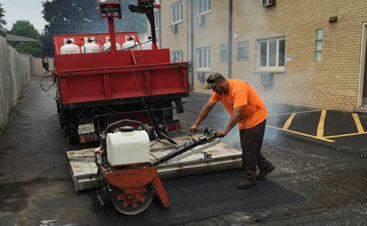 Perhaps the biggest benefit that asphalt paving offers to dealerships is the ability to easily re-face the surface of the asphalt through sealcoating. In a matter of hours, an entire dealership’s lot can be given the look and surface strength of a newly paved parking lot using sealcoating. In fact, many of our Bridgeview area car dealership clients love the fact that they can move their vehicles for a short amount of time, only to quickly put them back with a fresh, new asphalt facing to their parking area and a minor disturbance of their business. Often, we work with dealerships to do this work on traditionally slow days or times, as well as during closed hours, as much as possible. If you have asphalt paving on your dealership’s lots already, then you may only need a simple sealcoating service to get them looking great again. 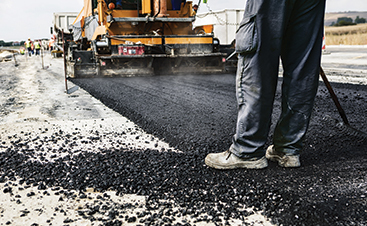 Likewise, if you’re tired of dealing with the headache that comes from concrete paving on your lots, then get in touch with us today to learn about our comprehensive asphalt paving services. See the benefits of sealcoating in the Bridgeview area for yourself!